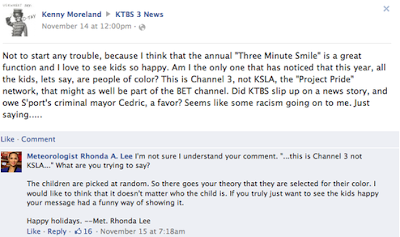 It’s been five months since Rhonda Lee was fired from KTBS-TV in Shreveport, Louisiana for responding to viewer comments on Facebook. 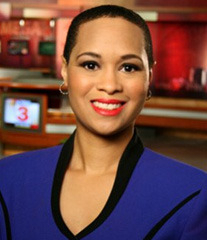 Rhonda talks with me about issues within the Black community, what she is doing now and why she would go back to work at KTBS. 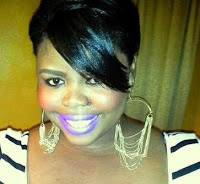 Q-Are you bothered by the constant issues Black women face about their hair, no matter the style or texture? Do you believe hair is just hair? I do not think hair is just hair. Simply because hair has always been something Black women has held onto as status. One would argue what is the White women’s ‘thing’ and I don’t know because I’ve never been a White woman and I’ve never really had that conversation with a White woman. But, I did have that conversation with a Black man and a Black woman. Our hair is a Black issue. I won’t necessarily get tired about talking about it but I do get tired of having to deal with it. I don’t think hair should be a big deal, but at the same time it should, because it is a part of us. In the US our story as Black people has always had a follicle issue attached to it. Our prettiness was attached to our hair texture. What separates Black people from White people? Hands down, our hair. It always comes back to our hair. When it comes down to it, if you put two pictures next to each other, a long hair straight Black women gets called prettier than the so-called nappy headed one. There is always going to be that issue. I’ve been turned down for job interviews not because of lack of ability, credentials or experience but simply because of my hair. We struggle with acceptance as Black people. Part of our acceptance is how we look. Do we look as pretty as the next girl? Are we as articulate? Every woman wants to be seen as pretty and there are standards about what is seen as beautiful. For women it generally comes down to our hair, our facial features, yes, but how pretty is the hair on top of our head. While I wish it wasn’t a big deal, it is so. I hate to use this phrase but, it is what it is. Q-What do you think can be done about this issue? How can we stop bringing down each other within our own community and uplift? I think there will always be a level of competition. It comes down to self-esteem and starting early. We need to teach our Black girls and boys that we are just fine the way we are and we do not need to adapt to more European styles of beauty. If you want to have a weave down to the floor, I support you. If you want a relaxer to the inch of its life, I support you. There is room for everybody and I think that is what needs to be done, we need to accept that there is room on this planet for everyone’s hair, style, body type and facial features. The moment we start to accept that there is room and that beauty comes in all forms we can stop worrying about Rhonda’s hair and concentrate on more important issues. Q-Were you hired with your natural hair? Q-The media is making it out to seem that you got fired for defending your natural hair. Did you get fired for that or was it not abiding by social media policies? What is the reason why they terminated you? Here is the nail in the coffin. It started with the first hair Facebook post in early October when I responded to the guy on Facebook, we all seen that. I was then called into my boss’s office and they said in the future if there is a controversial issue to let them know. In my head, my hair was never really controversial it wasn’t like gun control, I was simply replying to a viewer. Fast forward to mid November when the station had a contest called the “Three Minute Smile” where three kids are selected at random to go into the Wal-Mart store for three minutes and pick up as many toys as possible. That year it just so happened that the three kids were Black. We had several viewers take issue because all the kids were Black. We were also told to start replying to emails as we saw them, there definitely was a mixed message going on there. I politely told the guy in five to six sentences that all the kids were selected at random. In his post by the way, he said he ‘just wanted to see the kids happy, but it just doesn’t seem right that all the kids were Black’. I wrote back and said, if you wanted to see the kids happy you have a funny way of showing it, but FYI all the kids selected are selected at random, by computer and race is never asked, happy holidays and thank you for watching. Apparently my boss didn’t like me talking back to the White folk and that was essentially what happened. It seemed like the second time, I got fired for defending the Black children and the first time, I got fired for defending myself and my Blackness. I think what the station had on its hands, was a PR issue. 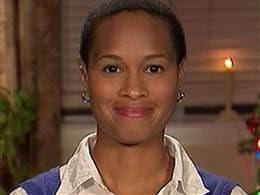 Every time the Black anchor defends Black people she seems to get in trouble. That is the nutshell of what happened. I replied a second time to the Facebook post after they told us to start replying to the post and my legal team is pulling that out. My co anchor responded to a similar Facebook post and said almost verbatim the same thing I said, that the kids are chosen at random. She still works there but I was fired. While directly it wasn’t about my hair, it started off about me defending my hair, defending Black kids and then getting fired for doing both. Q-From the time you got hired till the time of the incident, was there a change in management? Q-How was your relationship with your coworkers and boss at KTBS before the termination? How is it now? Before the termination my coworkers and I got along tremendously. There wasn’t a soul in there that I had an issue with. Afterwards, the relationship is even better. I still get hugs by my coworkers when I see them; even colleagues from other stations come up to me and show me their support. The atmosphere for me at that station was phenomenal, I loved it. I didn’t even have a problem with my boss until he fired me. There is nothing in my employee file that says I was in subordinate the entire time. So my termination was a complete surprise. Q-Did you have hair issues in the past with any other station besides KTBS? Oh yea. Yes, yes and yes. The reason I’m even in Shreveport was because I had more than hair issues but racial issues with KXAN in Austin, Texas. Within a month of working there my boss had a ‘come to Jesus’ meeting with myself and marketing. They liked my clothes, they liked my delivery, and everything was fine. But, they said ‘hey, let’s talk about your hair.’ They suggested that my hair should lie down and I should get a pixie cut, so I can look more like my co-anchors. They clearly didn’t understand Black hair. Q-Do you have any regrets? No, no, no. Technically speaking, I’m a meteorologist and if you have me hanging outside by the light post in the middle of a hurricane, what am I going to look like with the tracks falling out? My last two jobs I worked the morning show and ‘ain’t nobody got time to be coming no hair’. My hair was just easier for my job. Q-Do you think if you were in another market, a bigger market perhaps, if you would’ve undergone the same scrutiny? Yes and here is why. Before I worked in Austin, I was working in New York City. I was freelancing at the time and the job came down to myself and one other person. One thing my news director my boss at that time had said, “well you know some of the folks upstairs is kind of not sure about your hair, and if you’re willing to do something with that.” That was in New York City. I think it’s safe to say that there is no region I haven’t been to that has had an issue with my hair, from the East coast to the West coast from the South to the North. Q-Do you feel if your hair was still natural but longer, if the situation would have been different? It’s a tough question for me to answer because the longer my hair the more it would stand up higher. If it was longer it would be more like Angela Davis than Angela Basset. If it was going down with gravity I can almost guarantee I would have had less stress. Q-The viewer who commented on the Facebook page, do you think what he said was meant to be racist? In his defense no he didn’t mean to be racist; I think he was just uneducated. I think some of the worst comments people say are from those who didn’t mean to be racist. Q-Do you think that spectacle was an issue of race? I do believe it was. I do fear my former station had a goal in mind, and it goes straight back to ignorance. What they saw as a minor issue was definitely more than that. Q-Do you feel ultimately they just wanted to get you out and in return came up with any excuse? I don’t know. I really don’t know. I think I probably won’t ever really know the answer to that question. Q-You’ve been let go from two stations within a year. Why is that? The previous station was KXAN in Austin, Texas and I was fired from my job. There was a series of events that led to my termination there. Q-Was it with similar issues like in Shreveport? Q-Have you been reprimanded in the past before this incident? Were there any write-ups on your employee file? Q-Do you think responding to the viewer was professional? I believe so. Like Ms. Soledad O’ Brien says what I could or should have said would have been ten times worse than what I actually said. Q-It seems that the natural hair community among others is dubbing you as a hero. Do you believe you are a hero? No, no, no. I am humbled by the out pour of support but I don’t know why people care so much. I don’t think I fall into that category at all. Q-Do you think no matter how you handled the situation; you would’ve been at a loss? I never saw it as a no win situation. I think the station missed a good opportunity to educate their public. But, at the same time if it didn’t happen the way that it did maybe I wouldn’t have reached this many people, so there definitely is a silver lining to the situation that it was. It turned out to touch a lot of people and made them confident to a lot of positive changes. It kind of worked out in everyone’s favor. Q-It’s been said that you violated policy. Was there really a policy? Was there any signed documentation in writing? No. What’s funny is after I was fired I went into my General Manager’s office and asked to see the policy that I violated and I was told by my News Director that we didn’t have one, so I’m wondering what am I being fired for. A week later, I went in again and this time I had a witness with me. Thank goodness for Joyce Bowman, who is a city council member, legend and civil rights activist in Shreveport. She went in and witnessed the meeting I had with my News Director and General Manager. I again went in and asked for a copy of the policy and was told there was none, I had a witness. At first I thought, I must be really drunk or something now. I even asked my boss if I’ve been an exemplary employee and he said yes and I also asked if he was letting me go because of the Facebook post and he said yes. 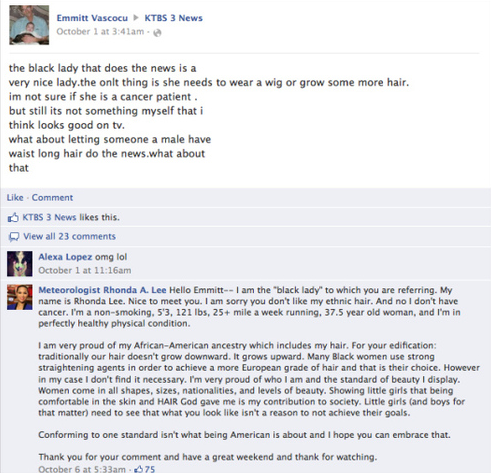 Q-A Caucasian Journalist was criticized for her weight and was given the platform to respond to the viewer on air. Do you think the media played favoritism? Or she just had support from her station? I think that is a good question. It’s hard for me to answer. I think it depends on the station. She was lucky enough to have a station to support her and give her that moment to have her commentary. It really depends on the management. I think my former station missed an opportunity. I think that remains to be unseen and I think time will tell if favorites will play. Q-Now that a few months have passed and you’ve seen how things uncovered, would you have taken a different approach knowing that you would have lost your job? No because I think this is one of those rare moments in life that not a lot of people get. For me I would not have changed anything. A lot of people may have looked back to see what they would have changed, but I think I did exactly what I was supposed to do. Q-What is the ethnic makeup of Shreveport? That is where it gets really funny for my station. The city of Shreveport is over 50% Black. There is a Black station and a White station. When I first got hired my News Director didn’t want to scare me off but, he told me that they are known as the White station in town. 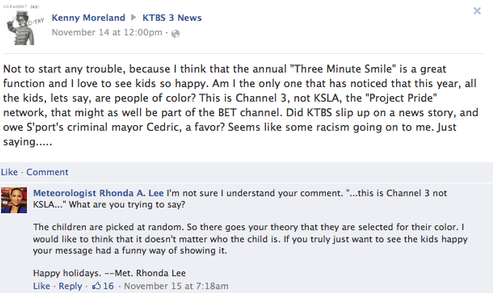 Q-At the time, were you the only Black media personality at KTBS? Yes, my entire time I was the only Black anchor. There were three other Black reporters. I grew up being the only Black person in so many things in my life, so it wasn’t that different. Q-In the past at previous stations, did you have viewers who would comment negatively on your natural hair? I didn’t really get a lot of comments on my hair anywhere. It’s just weird because most of the comments I’ve ever got came from management. If anything, I was complemented by the general public. Q-How do you think companies should handle social media and their employees? I firmly believe there should be a concrete policy in place that everyone understands. It needs to be fair to the employee and the company and there needs to be some written wiggle room just like what had happen to me. To be honest, it seems so odd that I was fired over someone’s opinion of me. Every company should have a well thought out policy because social media is just going to get bigger. Q-Have you gotten any job offers? Are you working now? I am not working right now. No offers and no interviews. Hopefully that will change in the near future. Q-Do you still want to pursue Meteorology and Broadcasting? I definitely want to continue to do Meteorology. That is where my heart is. Q-If KTBS offered you your job back right now, would you take it? Oh yes. I had no problems at the station. There would be some changes but I had great coworkers and I liked what I did. Q-How are you in day-to-day activities? Do residents of Shreveport come up to you? Oh yes, all the time. I still get asked to speak at speaking engagements. I’ve remained very busy over the last several months because of this. Q-Are you suing, plan on suing or taking any legal action? I do have a team of lawyers and they are reviewing my case. I do hope to reach some sort of agreement. Everything is still pretty much in the air. Q-Have you been in touch with anyone from the station? I do see some of my former coworkers and they do keep me abreast of what has gone on around the station. They’ve been exceptional towards my situation and I haven’t lost any friends to it. Q-What have you learned from all of this? I’ve learned to pick your battles and be confident that you are going to make the right decision when the time comes. I’ve learned who my true friends are but I’ve learned if you have nothing else in life to have the ability of knowing right from wrong. What are your thoughts regarding Rhonda's story? Do you feel the case has taken longer than it is now? Share this with your friends and leave your thoughts below. What was the big deal about her hair anyway? I don't recall any negativity when Robin Roberts cut her hair off. Exactly. Nothing was wrong with her hair. She was fired all because she was defending her hair via Facebook. Rightfully so but America loves controversy in anything. Great post here! BTW do you accept for guest posting? Love her story! It's crazy how much her story has evolved from a bad situation to a triumphant one!